All challenging Nordic ski race for all ages. If more...0 you wear Nordic skis, you need to be at the Odin Invitational. In the spirit of ideas worth spreading, TEDx is a more...0 program of local, self-organized events that bring people together to share a TED-like experience. At a TEDx event, TEDTalks video and live speakers combine to spark deep discussion and connection in a small group. These local, self-organized events are branded TEDx, where x = independently organized TED event. 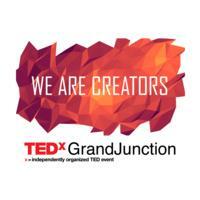 This year's theme is "We Are Creators". We all dream of more, not just possessions or money or power or fame. More for the world. A better environment, more cooperation, an expanded worldview, bigger ideas and on and on. Join us for a day of inspiration, learning and challenging the status quo. It's time to think bigger and to grow beyond what we believe to be possible—individually and as a community. Join KAFM Community Radio for the Bloody Mary more...0 Brunch on Saturday, March 9th from 9 a.m. - 1 p.m. Enjoy an omlette from Wine Country Inn and a bloody mary beverage from Peach St. Distillers for only $10! Additional beverages are $5 each. LOOKING FOR A FEW FOLKS WHO LOVE WESTERN COLORADO more...0 HISTORY The Whitewater Cemetery Association invites you to our annual meeting to get acquainted with us and the cemetery. We are a small group of volunteers that take loving care of our historic Whitewater cemetery. If this is inviting to you, come check us out. You will be very welcome. Get the Facts about 2C!